It's 20:29 in Placerville, USA right now. 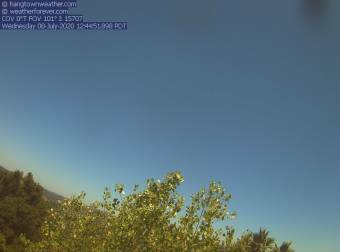 Hangtownweather A webcam in Placerville, California with image archive, weather data and timelapse videos. Placerville, California: SR-49 / Spring Street, 0 miles away. Granite Bay, California: Granite Bay Weather, 20 miles away. Folsom, California: Scott/E Bidwell (1), 20.8 miles away. Applegate, California: Applegate Road, 21.2 miles away. Roseville, California: Riverside Avenue, 23.6 miles away. Rancho Cordova, California: Bradshaw Road, 24.4 miles away. Citrus Heights, California: Antelope Road, 26.2 miles away. Jackson, California: Jackson Rancheria, 26.3 miles away.